It's now been over two months since I published my Milk Makeup Haul and I've given each and every product in that post a good try. 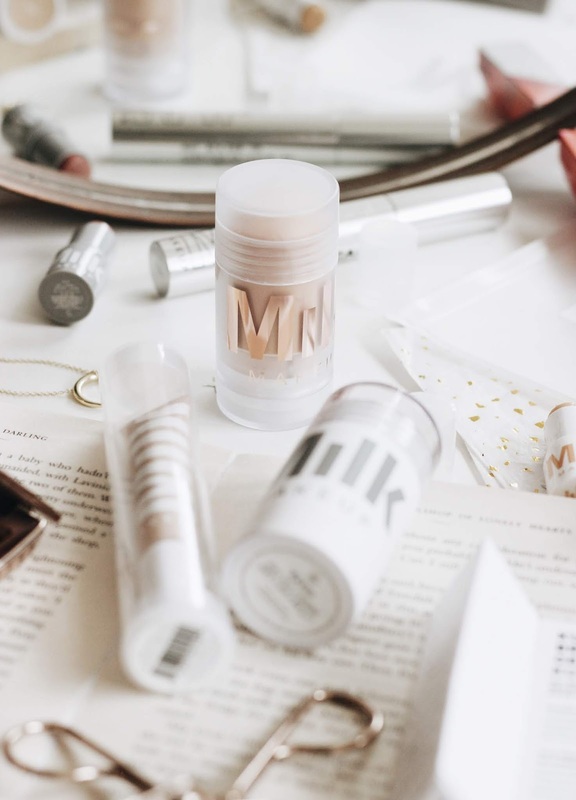 They are a very well loved brand and I was excited to give a few more of their products a try, but it's safe to say there are products that I adore from them and some that I do not. Here are my updated thoughts on Instagram's current favourite makeup brand. I have to start off with the stand out product that I've tried from them and one that I've done a full blog post review on here. Of course I'm talking about the Baked Matte Bronzer which is a cream formula that glides onto the complexion and blends seamlessly into wherever it is applied. It's rare when I find a product that I can't find fault with even down to the packaging, but this is one I'll continue to rave about no doubt throughout the Spring and Summer months. One product that I'm pretty sure I'll start to like more as the weather gets warmer is the Blur Stick and the brightening version, the Luminous Blur Stick. Both of which promise to create a pore-free finish with lines smoothed too. The latter is the one I've got in the full size and I'm still not convinced I can see a difference between the two formulas. I kind of wish that they'd opted for a dewier, hydrating formula so that you couldn't clearly differ between the two, so I'm hoping they'll come up with something like that soon! Another product I'm on the fence about is the Kush High Volume Mascara which due to it's big, fluffy brush makes my lashes look fuller and longer. It doesn't flake on me, but there's something about the way it wears which means that it doesn't look as good at the end of the day as it does at the start which is something I'd usually expect, but it sort of wears off a lot faster than my other much-loved mascaras. The Flex Concealer is one that I've been up and down about again, but I've finally made a decision on it. I really enjoy the formula, especially when I use it over blemishes, but upon reflection I could have opted for a shade lighter. It's lightweight despite offering a good amount of coverage, but the packaging is what let's it down. It's nothing that won't stop me from using every drop up, but the squeezy tube makes me nervous as product can easily escape and I wish that the doe foot absolutely was a bit bigger as I have to keep going in to get more product out each time. When I first trying the Kush Fibre Brow Gel I reported that the brush was hard to use, but I thought I'd get used to, however the quick answer is - I didn't! I wanted something that was between Glossier Boy Brow and Benefit's Gimme Brow, but this formula is super wet, easily smudged and very intense. This one just isn't for me, it doesn't grab the hair enough, but instead dyes the skin underneath, so you can't get a precise application and it's easy to end up wiping it all over your face if you're not careful. The first Milk Makeup product I tried was the Watermelon Serum and it was amazing to use on the skin last Summer as it was cooling and delivered an extra layer of hydration that was very much needed. It works well underneath foundation for a glow and despite being on the higher level price wise, I've barely made a dent in it in comparison. I wanted to end this post on a positive and the Lip and Cheek Stick does just that. It's the product that has completely surprised me and I already want to buy the full sized version when my mini runs out. It's one of the only select few of multi-tasking products that I've used that is good for both the lips and cheeks in terms of shade. Here are a few of their other items that are on my wishlist. What are your favourite Milk Makeup products?